If you’re thinking about selling your Texas mortgage note and don’t know where to begin, read these 3 tips for working with Texas mortgage note buyers. Real estate note investing has some similarities to real estate property investing but also some differences. And the real keys to successful note buyers are a solid track record of helping others, and a deep set of great relationships. So talk to your prospective Texas mortgage note buyers and see if they have both. What kind of experience do they have with note investing (and with helping sellers solve their problems) and what kind of relationships have they develeped with their note sellers? 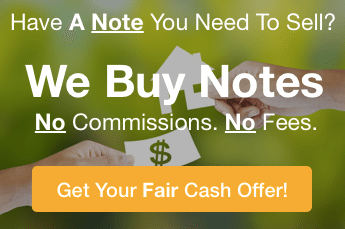 Although there are many ways to find honest successful note buyers, one way is through how many testimonials and case studies they have. Do they have a lot of testimonials? Do they have a lot of case studies? (Sometimes they might have one or the other and that’s okay). Ultimately, you’re looking for someone who can show that they’ve helped others. Click here to see our testimonials. Real estate note buyers aren’t licensed investment representatives, so don’t expect that level of financial advice. However, good mortgage note buyers should be able to provide you with insight and overall guidance, which can help you understand your options when selling your real estate note. A great place to start working with Texas mortgage note buyers is by using this blog that you’re reading right now and seeing what information is available and how you can apply it in your search for Texas Mortgage note buyers. But then go deeper by getting in touch with the mortgage note buyers to see if they have other ideas, insights, or even educational programs that can help you. To learn more about notes, about how we can help you sell your Texas mortgage note, fill out the form on this page or call us at (772) 232-2383. Be assured that we will help you in any way that we can.